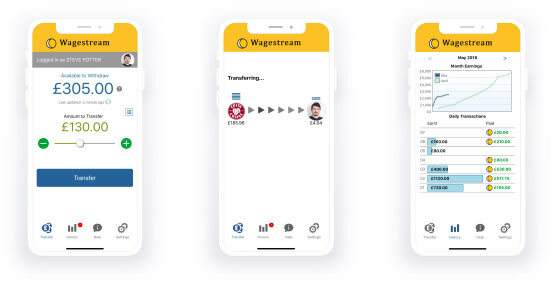 Fintech startup Wagestream, whose ‘Get-Paid-As-You-Go’ service allows workers to access their monthly wages in real-time, has raised £4.5m in funding from a group of the world’s leading technology and social impact investors. Research shows that over half of families cannot afford a £250 unplanned expense – around the same amount as the average payday loan in the UK. Most UK employees are paid monthly (around 85%), meaning that employee financial stress is uniquely higher in Europe because of the monthly pay cycle. Wagestream removes the problem, allowing workers to access their ‘earned income’ at any time during the monthly pay cycle. The service can be implemented by companies without impacting cash-flow, payroll or timekeeping processes, and provides instant financial security to UK workers. As the first Get-Paid-As-You-Go provider to be accredited by the FCA, the company expects its approach will become the ‘new normal’ and displace the current payday cycle – particularly for employers which operate large numbers of shift and temporary workers, in sectors such as hospitality, security, retail and manufacturing. Over 20 employers and partners are now piloting the Wagestream platform including Key Security, and Fourth, who provide cloud-based hospitality solutions for a large proportion of the hospitality industry. The early results are so promising Wagestream now guarantees a 10% increase in staff retention, 20% improvement in workforce productivity and a 100% increase in job applicants when a company is Wagestream accredited. The launch follows news earlier this month that leading payday lender Wonga went into administration on Thursday, 30th August. In an effort to support workers affected by payday loans – a negative impact of the payday poverty cycle – Wagestream will be donating all of it’s August revenue to Step Change Debt Charity, which helps people with debt problems take back control of their financial lives. “As we mark the death of one of the payday loan giants, we’re pleased to finally present a viable solution to help give the UK’s workforce the financial freedom they deserve. While the wider and long outdated issue of monthly pay cycles is in desperate need of modernisation, for far too long legal loan sharks have been exploiting the most disadvantaged consumers with crippling high-cost loans. By giving workers access to their earnings, they can prevent themselves from going into overdraft, credit card debt or the worst case, applying for a payday loan. The poverty premium is real. Lower income workers can often pay more than everyone else, despite struggling to make ends meet. At Wagestream we give people access to their earned income when they need it, without the need for employers to alter their usual payroll frequency. 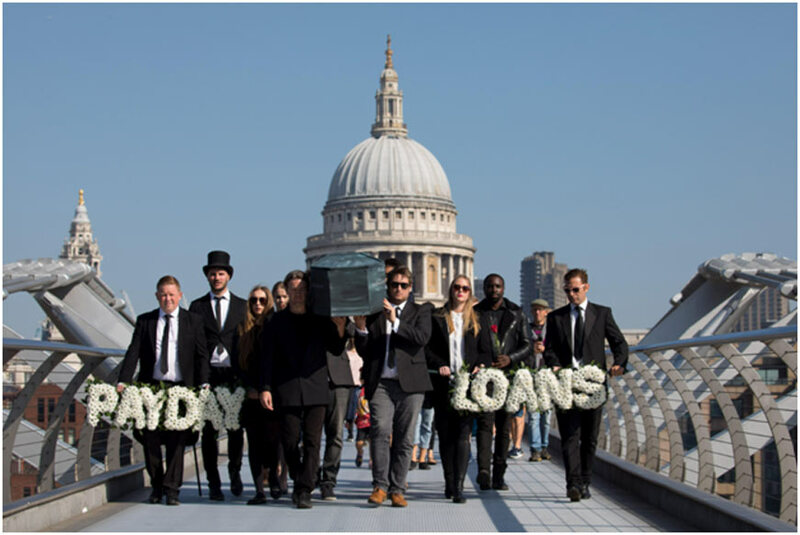 Wagestreamlead a ‘funeral procession’ in London on 2nd September in remembrance of the Payday Loan.